I cannot believe I will turn 43 years old in three months. I am getting old but not ashamed of it. Life it too short and enjoy it while it will not last, right? Having a very sensitive skin is not easy. 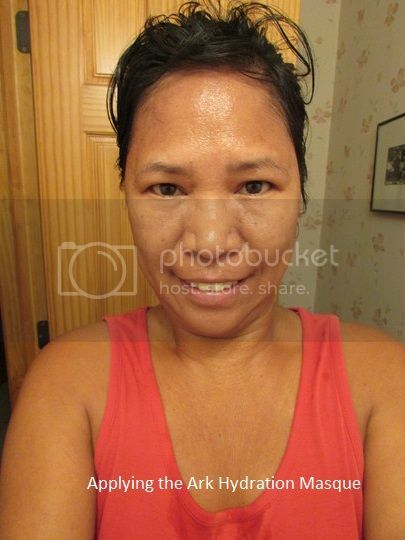 I admit at 42, I seldom wear cosmetics and worst I do not know how to apply it. I can wear lipstick and am good. I want to make sure that my skin is taking care of. I usually apply lotion all over my body to keep it hydrated. I forget that my face needs to be protected too from the sun. I noticed that I started to see lines on my face and even gray hair starts to show. I cannot help the gray hair except if I color them maybe someday. 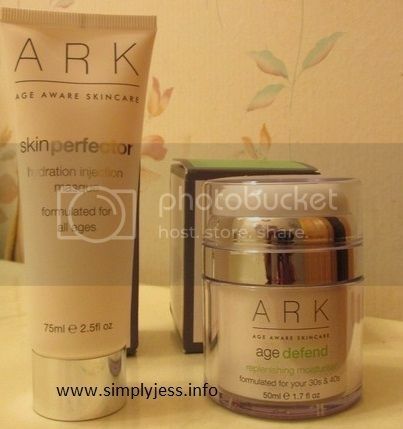 I can help with the lines by using Ark Skincare. What I LOVED about these beauty products is? It takes care of specific age or close to your age ranges. I tried the ARK Hydration Injection Masque and ARK Age Defend Replenishing Moisturizer. These skin products are formulated for 30s and 40s. I used first the Ark Hydration Masque this is for all ages. You can apply it on your face and neck once a week. It is a soothing masque to keep your face and skin feel relaxed after the weekend activities. This is odorless too which is perfect for fragrance allergy like me. It is very easy to apply. All you do is wash your face and apply the masque on your face and neck. Since I am on 40s, I live the masque at least 10 minutes. If you are teens and twenties: Leave on for approximately 5 minutes. Thirties and forties: Leave on for approximately 10 minutes. Fifties and onwards: Leave on for approximately 20 minutes. You can use it overnight for an intensive treatment. Remove with a hot cloth. Pat dry. The Ark Hydration Masque contains an encapsulated blend of vitamins for maximum efficacy: Vitamin A to help keep skin supple; Vitamin B5 for smoothness; Vitamin C for antioxidant protection and Vitamin E to soothe irritation. Hyaluronic Acid Booster drenches skin with moisture, providing long-lasting protection against water loss. My face and skin feels amazing after ten minutes. 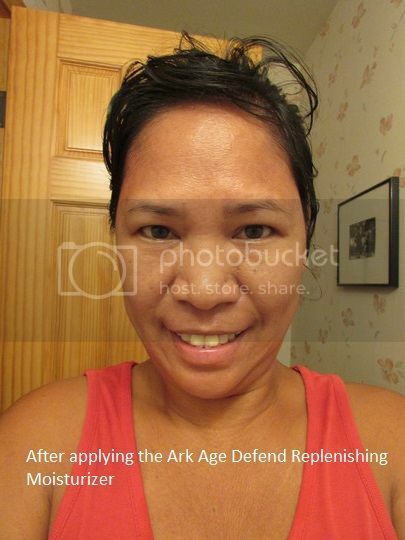 I then apply the Ark Age Defend Replenishing Moisturizer. It is also odorless. My face feels smooth and not itchy at all. This moisturizer contains Co-enzyme Q10 is packed with natural moisturizing agents such as Shea Butter and Olive Oil. Containing powerful peptides, including Matrixyl, it smoothes out the appearance of wrinkles and diminishes signs of premature aging. Vitamin A helps keep skin strong, plump and supple Kiwi and Passion Fruit lipids are packed with Omega 3 fatty acids to boost skin’s moisture Blue Lotus, the ‘sacred flower of anti-aging’ is a powerful antioxidant and symbol of beauty Sugar Beet and Abyssinian Oil intensely nourish the skin for a plush, luxury skin feel. Skin looks rested, restored and smooth with a healthy, youthful glow. I really loved using these products. I highly recommend it to everybody. You should try it too. We need to take care of our skin before it is too late. For more updates on skin products, please check out their Facebook, Twitter, Instagram and check their You Tube videos as well. I received the skin products free from being a member of Brand Backer in exchange of my honest reviews. This entry was posted in beauty and tagged Ark Skincare on September 9, 2016 by simplyjess.